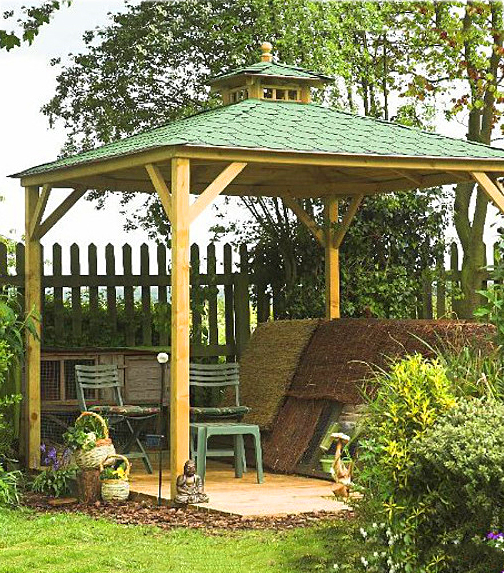 Classic shingle roofed elegance here with this Lindrick Canopy. Perfect as a platform for outdoor entertaining or as a cover for spa or Jacuzzi. 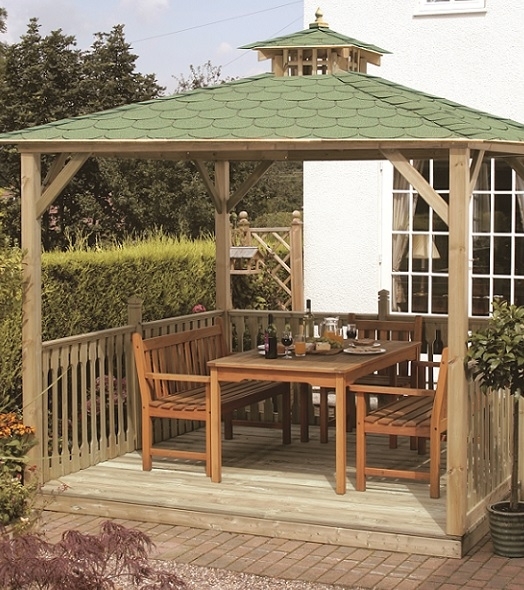 Lindrick Canopy with floor might be the product you dreamed of! 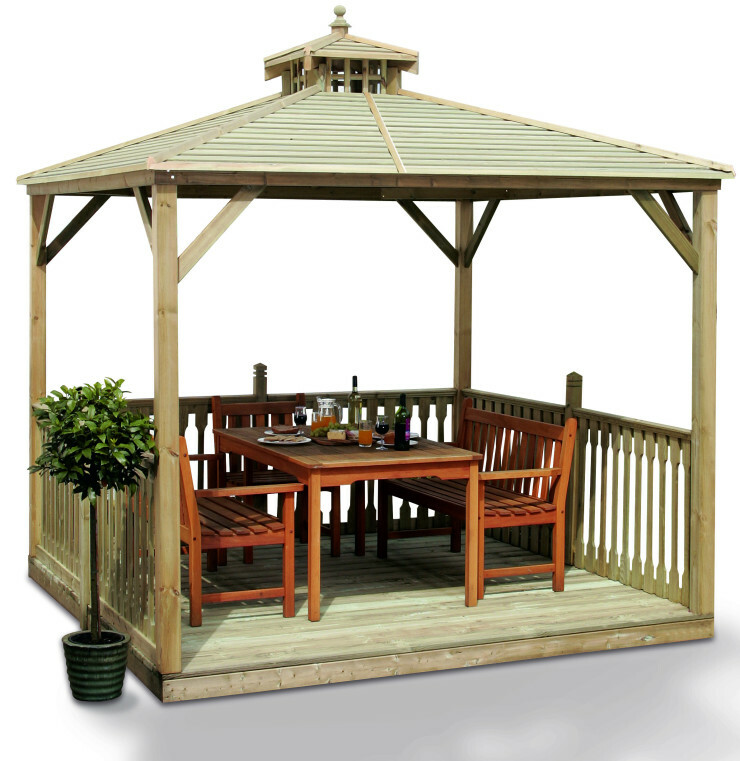 We also offer a wooden roof as an option.